If you’ve built up a company after lots of planning and sweat equity, the last thing you need is to see all of your hard work go up in smoke. But, unfortunately, business fires are not all that uncommon, so it pays to be aware. As it turns out, there are numerous common causes of business fires — all of which can be avoided with the proper precautions and a robust fire alarm monitoring system. So read on for tips on how to prevent these three common causes of business fires. 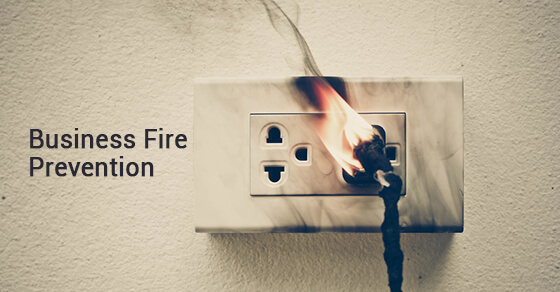 Electrical problems are a leading cause of business fires, accounting for 12% of all business fires (and 15% of all damage in business fires). What this means is that you need to be careful when it comes to hiring contractors to do any electrical work at your facility. If an unskilled person does work to circuitry or electrical outlets, you might be in for problems down the road. So do your due diligence to get qualified contractors, and don’t forget to maintain your equipment, since electrical problems can lead to serious issues. You don’t have to fall victim to business fires, since there are plenty of measures you can take to remain safe. Making sure you have adequate fire extinguishers around the office to mitigate any issues when it comes to fire. Keep the batteries in smoke detectors fresh and test them monthly, and as always in your office you should consider fire monitoring and smoke detector monitoring, so that if a fire does start the fire department will be notified, even if you’re not on site. With so much put into your business, you can hardly afford not to properly equip your facility to protect against fire risks, and train your staff in the best ways to prevent fires in the workplace.